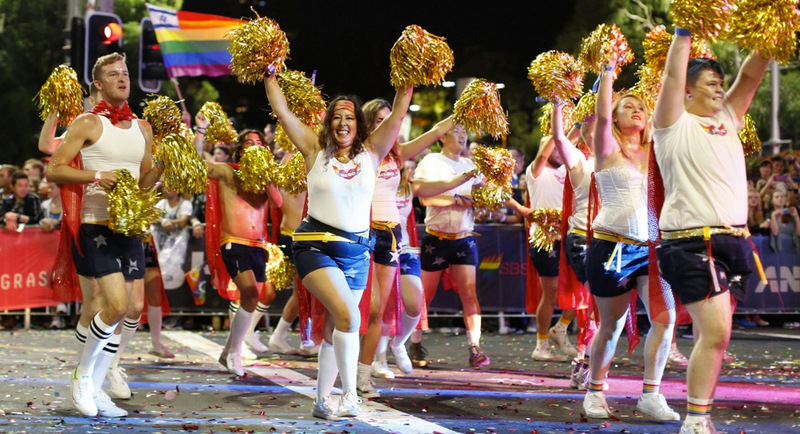 Bauer Media’s Cosmopolitan magazine has signed on as an official media partner of the 2018 Sydney Gay and Lesbian Mardi Gras. The sponsorship will deliver a month-long celebration of activities in the Parade’s 40th anniversary year. In addition to this, Cosmo will be producing its second Pride Issue for March, which will hit the stands on 5 February 2018. Bauer Media recently partnered with the Victoria Racing Club’s Spring Racing Carnival, which saw activations and events, content creation and hospitality opportunities over the course of the carnival. Bauer will also be collaborating with other partners of the events. Visit Las Vegas has signed on as a diamond sponsor with additional bespoke opportunities around content initiatives and hospitality created for advertising partners. The Mardi Gras sponsorship will see Cosmopolitan and Cosmopolitan Bride deliver activations on the Mardi Gras Fair Day in February. Cosmopolitan’s Quickie Tent will offer festival-goers hair and makeup touch-ups, glitter braids and glitter beards. Meanwhile, Cosmopolitan Bride will host a floral archway where couples and friends alike can dress up and create their own social media SSM wedding moment. “We are absolutely thrilled to have an iconic brand like Cosmo on board in 2018. The support and love that Cosmo and its readers have shown the LGBTQI community is such a positive thing for all Australians. We can’t wait to celebrate in style all month long with Cosmo,” said Sydney Gay and Lesbian Mardi Gras CEO Terese Casu.